We’ve identified influencers within the Big Data space before (PS – for the most up-to-date rankings you can see our Big Data influencers list over on List.ly). It is indeed a big and – dare I say it – somewhat buzzy term, which can encompass a huge range of meanings and applications, depending on who you ask. For the latest instalment we’ve decided to delve a little deeper into the Petabytes and Zettabytes out there in order to hone in on a more specific Big Data use case – improving customer experience – and bring you a slightly different community of influencers. Yes, it’s still a big subject, but we thought it might be an interesting (and maybe even useful) angle for anybody operating in this space. 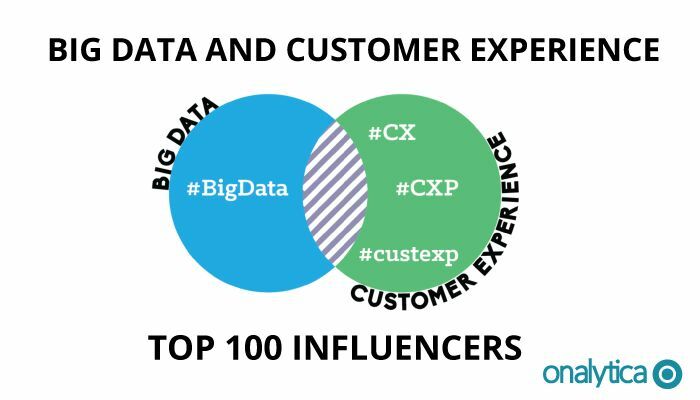 To find the influencers, we analysed the network of individuals interacting on Twitter using customer experience hashtags such as #CX, #CXP and #custexp within the context of #BigData. We then used PageRank analysis to calculate the influence of the people within this network, and create a network map of the connections between them (which you can see below). For more information on our methodology you can see our previous post here (and if you harbour cynicism towards the whole idea of influencer lists and rankings, well, you might have a point). 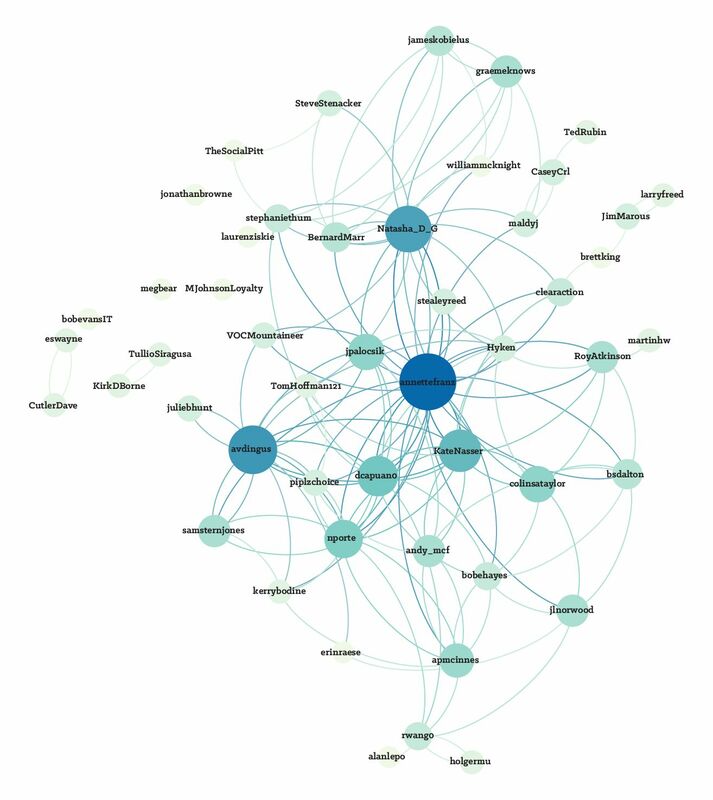 Darker, larger nodes signify more influence within the network – for example, Annette Franz, being the top influencer, sits in the centre of the network, and is represented in a deeper shade of blue. a very nice microsite about the use of Big Data in enhancing customer experience, while the inimitable Brian Solis looks at some real-life examples of developing a data-driven customer-centric approach in this article. OK, hands up – we’ve only published the top 50 right here… but you can download the full top 100 (complete with network map) by clicking the big green button below. So that’s not so bad, right? Right..? We have rankings for Content Marketing influencers, top education blogs and influential economics blogs to name a few – if you have any questions for us you can get in touch – or download the full list below to see the rest of the influencers.